Please print the enrollment form out, complete and return it to the SBHC in person, by mail (Quinnipiack Valley Health District, 1151 Hartford Turnpike, North Haven 06473), or by fax (203 248-2953) . 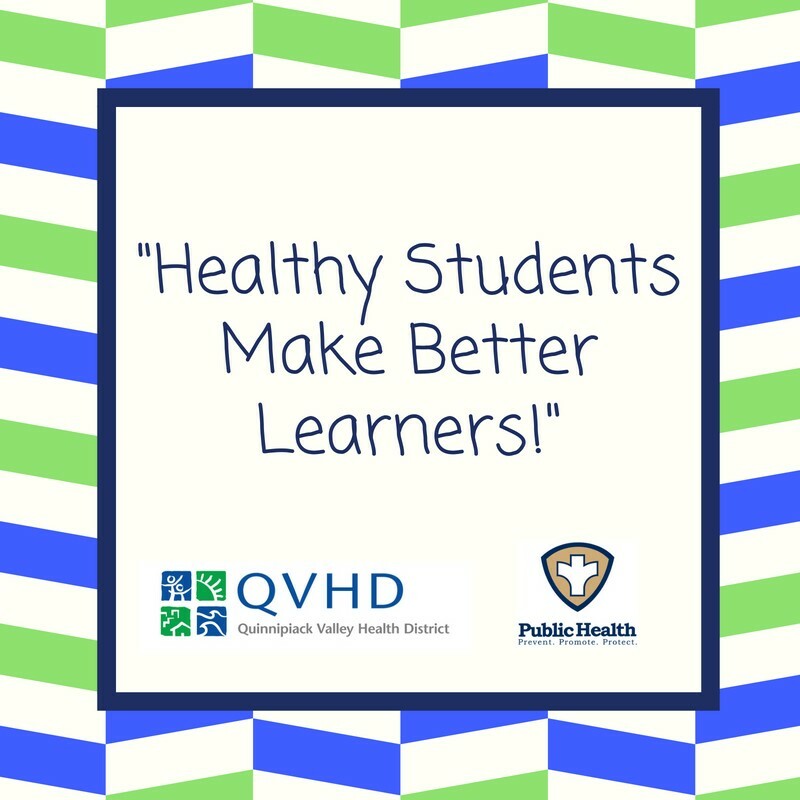 Healthy Students Make Better Learners! Quinnipiack Valley Health District operates the School-Based Health Center (SBHC) at Hamden High School. It is supported by a grant from the state of Connecticut. The SBHC is a state licensed outpatient clinic housed right in the school. The SBHC is open during school hours so that students and parents do not need to miss school or work to get care. All services are provided with no charge to students or families (no cost/fees to families) though billable services submitted to your insurance company when appropriate. The SBHC is staffed by a team of licensed professionals provided through a partnership with Cornell Scott-Hill Health Corporation and that includes: an onsite Nurse Practitioner, a Social Worker and a Medical Assistant. The SBHC providers do not replace your child’s regular health/mental health providers nor do they replace the role of the school nurse. The Nurse Practitioner provides preventative medical services like immunizations, physical exams, and sports physicals and acute care visits to diagnose, treat and follow up on illness or injury. The Social Worker provides assessments, individual/group/family counseling, student support groups, crisis intervention, and short/long term therapy as needed. All SBHC providers work closely with community providers, the school nurse and school staff to ensure that students get the care they need at school, or through community support services. If you child currently sees a specialist, the SBHC can help with management and works with the student to help them learn how to manage according to what their provider recommends. Exciting news: we are now offering extended hours for even more convenience to our students! The SBHC is open Monday through Friday from 7:00am until 3:30pm, when school is in session.